It’s that time of year again! 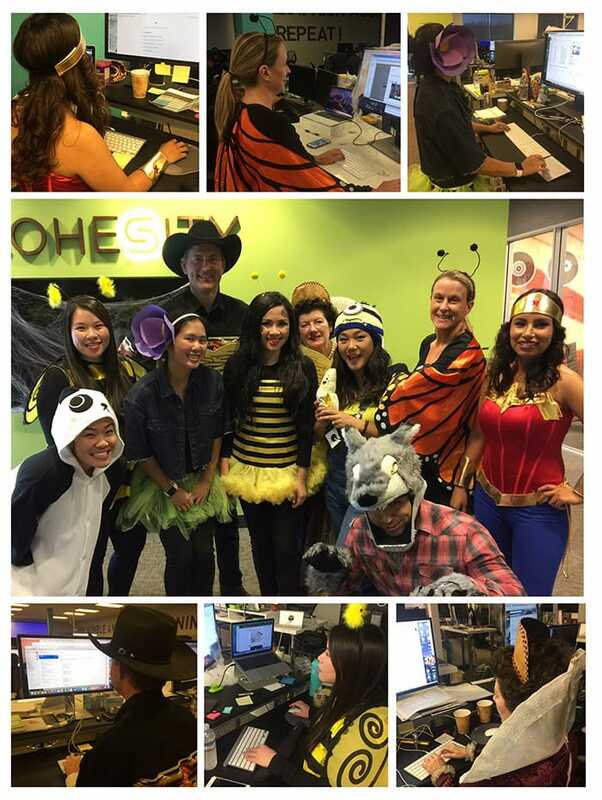 Cohesians are showing off their Halloween spirit, and dressing up is just part of the fun. When you get to the end of this post, you’ll find some photos from this year’s creative costumes and Halloween festivities. While we tend to think of Halloween when it comes to all things spooky, true horror doesn’t just happen on October 31st. We have gathered a few stories from real IT admins who made it through their own secondary data-sprawl horror story, and are currently enjoying a happy ending. The setting: The XO Communications IT team operates eight data centers and 1,200 physical servers with various government entities. The government contracts require three years of data that needs to be protected and archived. The horror story: The challenge of growing data while controlling administrative cost. The happy ending: Find out how XO Communications dealt with the horror of their growing data. The setting: Thekking’s growing business makes it critical to have daily backups stored onsite for quick recovery. The horror story: The team needs to protect both the main site and the secondary site for the copy jobs as well. The happy ending: Find out the steps Thekking took to protect its data by replacing legacy storage, transforming a spooky situation into a successful one! The setting: With a large IT environment, Credit Acceptance is running over 1,700 virtual machines and around 60 databases. The horror story: As a financial organization, Credit Acceptance requires 7 years of data backup and archives. The secondary data sprawl created a frightening situation and the team started looking for a solution. The happy ending: Find out how Credit Acceptance selected Cohesity and increased backup speed by 18x with a 70% TCO. These happy-ending customer stories help illustrate Cohesity’s mission to eliminate silos and take the horror away! We are the superbugs and magical wizards with the power of a hyperconverged platform, which is designed to consolidate secondary data at web scale. If you are experiencing the secondary sprawl problem, contact one of our Super Cohesians today!